It's hard to imagine any golf memorabilia collection without a display featuring the likes of both Tiger Woods and Rory McIlroy (especially considering they're 2 of the world's top ranked golfers). So, while your game might not be as polished as this prodigy and pro, you can surely appreciate their dedication to the game. 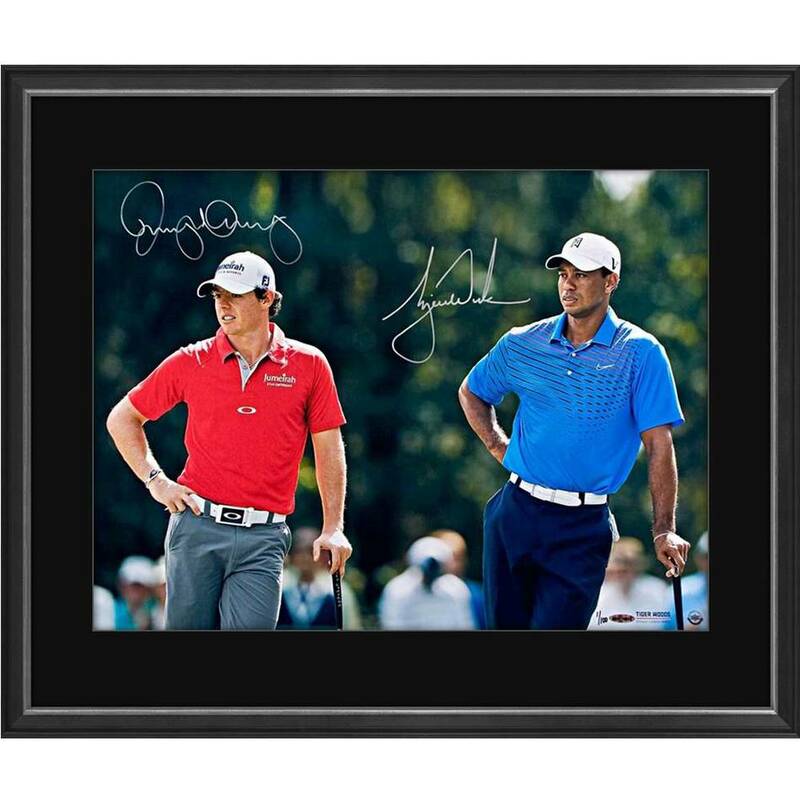 Honour golf's finest and exclusive Upper Deck Spokesmen with an 18x24 inch dual signed picture capturing TIger and Rory focused while waiting to address their putt. Woods' and McIlroy's autographs are inked in silver paint pen.